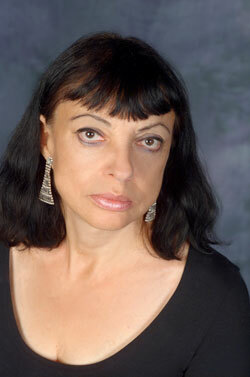 Natalya Antonova is the definition of a living legend, as a pianist and as a teacher. She is coming to Humboldt State University in both of these roles, culminating in an all-Chopin concert on Saturday evening, Oct. 2. For local audiences and students “it’s an incredible opportunity,” said pianist and HSU Music professor Daniela Mineva. Natalya Antonova began studying piano at the age of four at the Leningrad Conservatory, where she would later become the youngest professor since the school’s founding in 1862. She has performed throughout the world, participating in many international festivals, and has given hundreds of master classes and lectures, from the Moscow Academy of Music and the Paris Conservatory to the New England Conservatory and Taiwan University. Antonova will play Chopin’s Scherzo #1 in B Minor and his Fantasy in F Minor. In the concert’s second half, she performs 10 of the 24 Preludes Chopin composed in the 1830s as a series of short pieces, each in one of the 24 musical keys. She concludes with a two movement work, Andante spianato et grande polonaise brillante, originally published as a work for piano and orchestra.